Recognized firearms consultant, author, publisher, speaker. 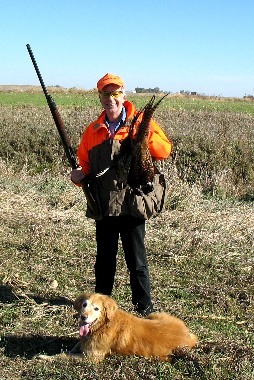 Randy Wakeman has been hunting and shooting for over 45 years. Randy has a background in industrial engineering and mechanical power transmission. In addition to his contributions to G & S Online over the last decade, Randy has performed consulting work for several firearms manufacturers, powder manufacturers, the Discovery Channel, several law enforcement agencies across the United States, and has worked on several Federal Court cases, including those defending manufacturers from frivolous lawsuits. Randy has also authored his own books, his own video productions, and has been published by several print magazines. Randy Wakeman's background is in mechanical design engineering sales, with over 30 years experience. Randy has also had formal training in interior and exterior ballistics, firearms design, and has been reloading for some thirty years. Currently I am a professional muzzleloading consultant to powder companies and gun manufacturers alike. I'm a Federal District Court approved muzzleloading expert, and have worked on dozens of lengthy incidents. I published my first book in 1985, and have produced dozens of videos and DVDs on various topics. I am a gunwriter as well, having penned over fifteen hundred articles on various topics to date. I've enjoyed testing and reviewing most every muzzleloader on the market today and have hunted with most of them as well. 1978 to 1990, employed by Bearing Headquarters, in Broadview, IL, distributor and custom manufacturer of bearings, gears, sprockets, v-belts, and other mechanical, electrical, pneumatic, and hydraulic power transmission accessories, devices, and systems. The company's primary focus was mechanical, but other types of power transmission products were included in the business. Began employment in management training program; and worked in metal (metals included carbon steel, bronze, brass, aluminum, cast iron, babbitt, etc.) machine shop, performing welding and operating milling machines, lathes, presses, and other metal forming machine tools. Also performed maintenance, repair, and overhaul of all metal forming machines and power transmission devices and products. Received extensive in-house training and industry certified outside training programs related to design, manufacture, testing, and quality control relating to power transmission systems. Work included design of mechanical and electrical power transmission devices and systems for customers; inside and outside sales of mechanical power transmission devices and systems, including installation, startup, maintenance, and repair / replace-ment. 1991-2002, employed by Berry Bearing, in Chicago, a div. of Motion Industries, Birmingham, AL, who was a competitor of and whose business was similar to that of Bearing Headquarters, although it involved and included more fabrication and manufacturing than at Bearing Headquarters. My 20 plus years of training and experience in manufacturing in general, and power transmission systems in particular, has enabled me to develop expertise in the fields of metallurgy, metal forming and processing operations, design processes, manufacturing processes, product testing procedures and standards, and quality control procedures and standards. This expertise is relevant to, applicable to, and directly transferable to the firearms industry. I began shooting sports at the age of six, and I began reloading ammunition as a teenager. Over the years, since that time I have been on thousands of hunts with muzzle-loader firearms, and other types of firearms, throughout the United States, South Africa, Canada, and Argentina. I have had the good fortune to consult with and learn from leading experts in the firearms industry, particularly with regard to muzzle-loading firearms, including Gary White, M.D., founder of White Rifles; Del Ramsey, founder of MMP Sabots; Johan Loubser, Western Powders, one of the world's leading ballisticians; Henry C. Ball, expert riflesmith, multiple patent holder, and inventor of the 10ML rifle; David Metcalf, expert gunsmith; Hartmut Broemel, expert ballistician and inventor of "QuickLoad" software. I have conducted performance tests and evaluations of hundreds of firearms, and related charges and loads for many designers and manufacturers of firearms, and related products including projectiles, propellants, and accessories. I have over 40 years of accumulated experience and expertise, based on personal shooting experience, consultation with well recognized experts, innovators, and inventors in the field of muzzleloader firearms. I have conducted field performance tests and evaluations for hundreds of firearms and related products for Browning Arms, Savage Arms, Federal Ammunition, Fiocchi Ammunition, Alliant Powder, Barnes Bullets, Hornady Bullets, Beretta, North American Arms, and many others. I am familiar with firearms industry customs, practices, procedures, and standards, including those promulgated and published by Sporting Arms and Ammunitions Manufacturers Institute (SAAMI) in Newtown, CT, and the Commission Internationale Permanente (CIP) in Liege, Belgium, and those relating to "proof testing" and "proof marks". I am recognized by the firearms and related industries as an expert in the field, particularly with regard to muzzleloader firearms. As a result, I have been called upon to teach company engineers and to revise, proof, and rewrite factory firearms owners' manuals. As a recognized expert, I have also written articles included in factory reloading manuals, such as Barnes Bullets. The testing, evaluation, load development, and engineering services that I provide for numerous and various firearms, ignition systems, propellants, projectiles, breech plugs, and other components, is continuous and ongoing. I provide technical help and support to muzzleloading and general firearms manufacturers, shooting sports component manufacturers, and end users and on a continuing and frequent basis. I've also served as Contributing Editor to Gun Tests magazine and have been the Senior Editor of Guns & Shooting Online for over the last decade. Copyright 2015 by Randy Wakeman. All Rights Reserved.